From invention to perfection. Celebrating 10 Years of the IRIS. We’ve spent 10 years pursuing the perfection of the rotation-in-space technology we invented in 2003. 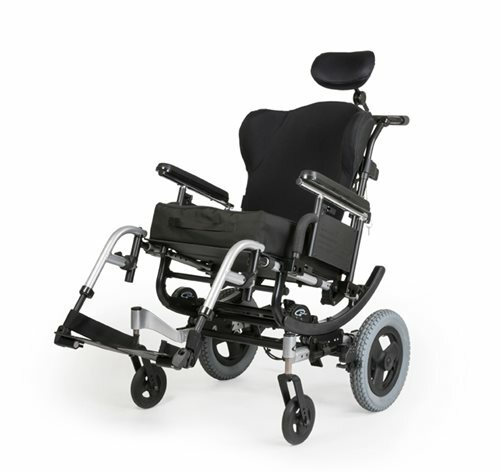 The ultimate tilt-in-space wheelchair, the Quickie® IRIS™ features up to 55° of Intelligent Rotation in Space Technology, the broadest range of positioning and caregiver options, numerous adjustments, and it's one of the lightest tilt-in-space wheelchairs available on the market. The IRIS' rocker arm now includes a cover to prevent debris from collecting on the hardware. Improved locking pin engagement and precision matching of parts within the tilt mechanism reduces side to side movement and increases durability.